Two people have now been arrested and released by police after twin baby boys were taken to hospital with life-threatening conditions this week. 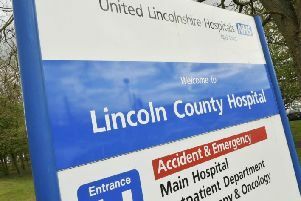 Lincolnshire Police issued an update to the incident this morning, saying only that a 27-year-old man and a 20-year-old woman have been arrested and released under investigation in relation to the matter. Details of the incident were released by the force yesterday (Thursday) after the twin boys, who who are less than one years old, were taken to hospital separately with life-threatening conditions. Police placed a police officer as a scene guard at a property in Granville Street in Boston in connection with the investigation.